Frankly, I first knew of the name Durango by the Dodge SUV that used to have terrible advertisements ca. 2000. My, how we've grown. So: Durango. The name means "water town" in Spanish, a name chosen by the dominant railway in the area during the late 1800s: the Denver & Rio Grande Railway. Previously the town had been known as Animas City, and its post office was established the year Colorado became a state: 1876. 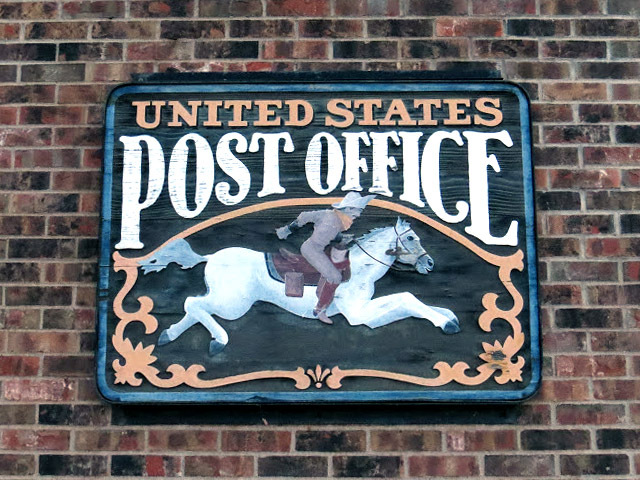 Durango's post office was established 1880. 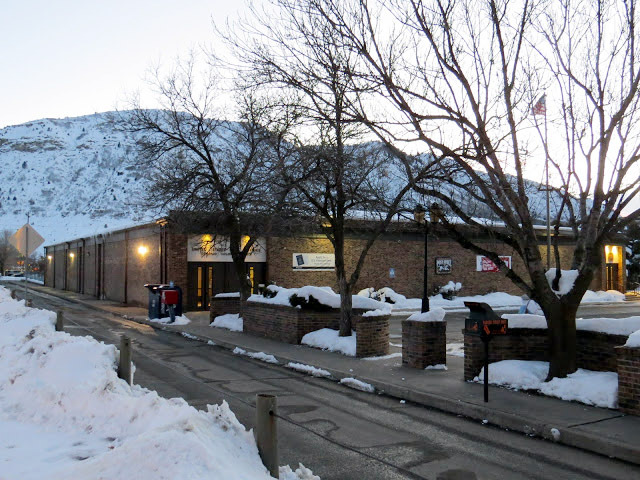 (Animas City's post office was discontinued 1885.) Durango presently has a population of ~17,000, and it's the largest city in southwest Colorado. Tourism is heavy during the summer and hotels are cheaper during the winter. Built in 1892, the four-story French Second Empire Structure characterized by the mansard roof has a varied history as a saloon, post office, bank and hotel. References to French culture were often included in the Victorian commercial architecture as an allusion to the continental sophistication associated with the French. El Rancho. In 1915 at 10th and Main, Colorado native Jack Dempsey “The Manassa Mauler” knocks down Andy Maller in 10 rounds and won $50. In 1919 Dempsey becomes World Heavy Weight Champion. 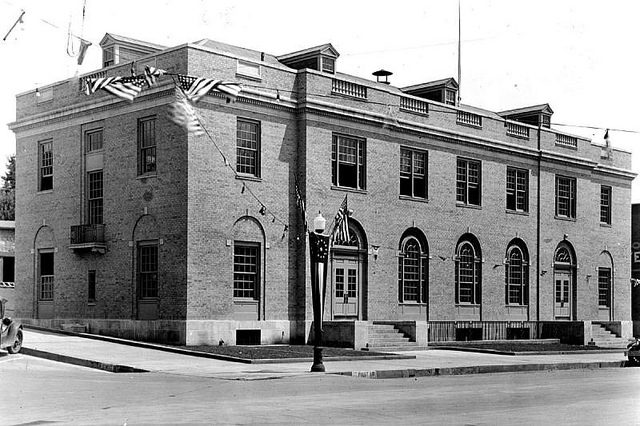 Between 1928 and 1929 a sizable Federal Building was built one block north of the private 1892 site. This building served as the post office for 49 years until construction of the present post office site. 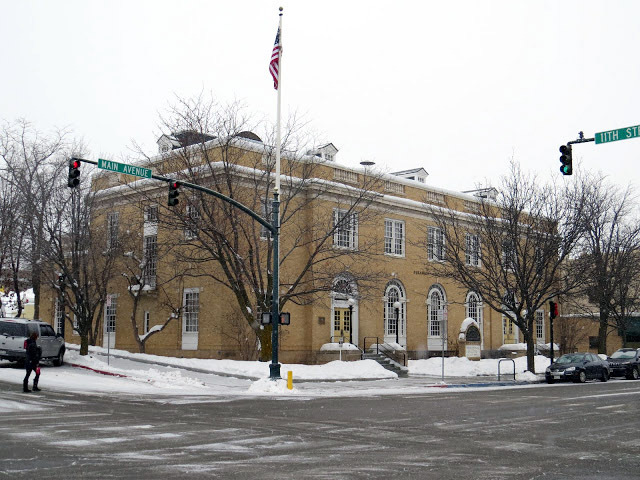 It is known as the Old Main Post Office / Professional Building. 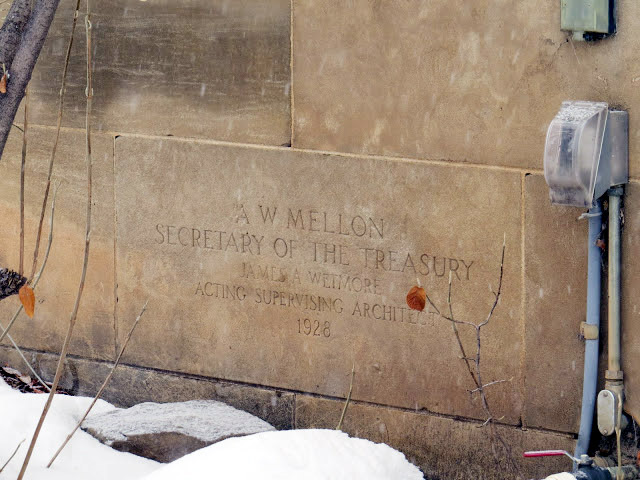 The building bears a 1928 cornerstone and historic plaque. Here is a photo of the building upon its completion in 1929 (courtesy National Archives) and a photo taken from a similar location by yours truly in 2016. Which leads us to today. 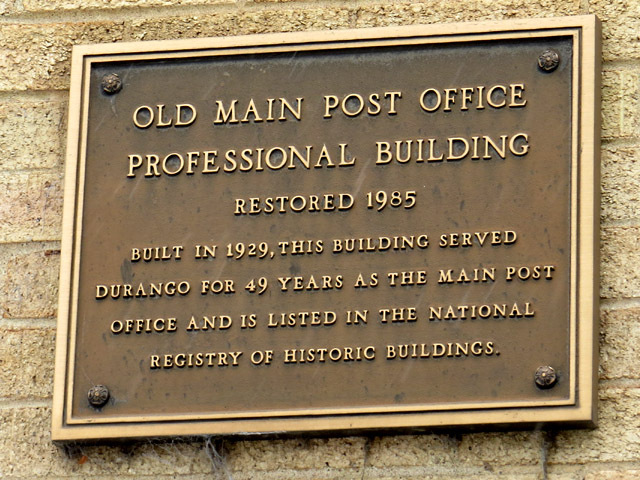 Durango's current main post office was constructed in 1979. 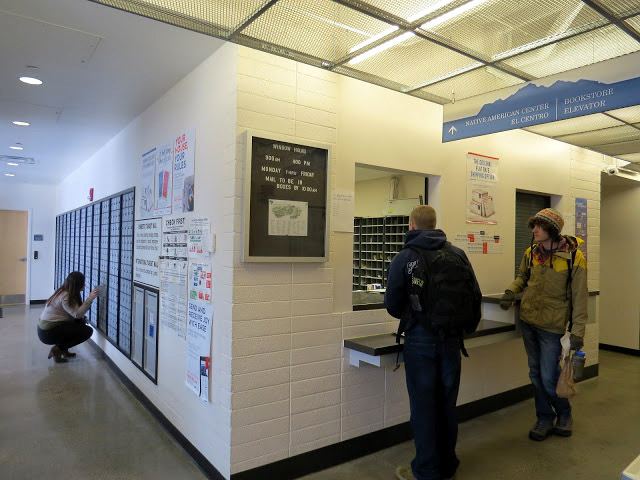 USPS's Owned Facilities Report actually lists the building three times: as an Administrative Post Office (APO) [meaning its Postmaster also manages surrounding post offices], as a Processing and Distribution Center/Facility (PDC/PDF) [it used to process mail], and as a Service Hub Facility (SHF) [a place where mail gets transferred from trucks to other trucks to go somewhere else]. Mail gets trucked to Durango from other locations in southwest Colorado and then actually brought to [Santa Fe and then to?] Albuquerque215 miles awayfor actual processing. And then vice versa. No wonder the mail is so damned slow these days. 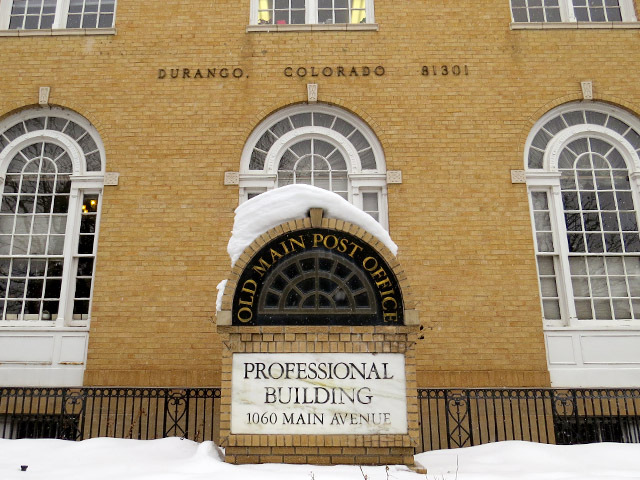 Finally, the present postal footprint in Durango includes a Contract Postal Unit (CPU) at Fort Lewis College. 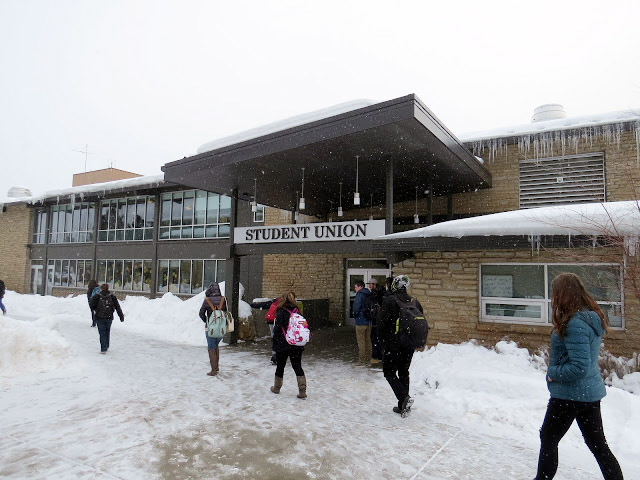 Located, as nearly always, in the basement of the college's Student Union, this trip was more treacherous than most given the fresh-falling snow and the author's amateur footwear at the time.